Designing and Implementing Formative Assessments: It's Easier than You Think! Everyone is talking about formative assessment these days, but do you know how to design and implement formative assessments in your school or classroom? This webinar will help you develop a clear understanding of what formative assessments are, how they differ from summative assessments, and what they look like in classrooms. 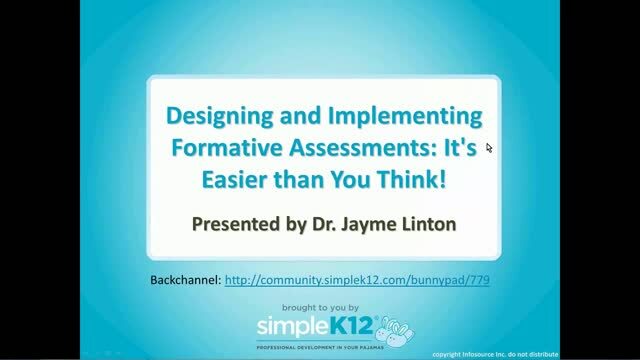 Join Jayme Linton as she shares examples of formative assessments and templates for creating your own. 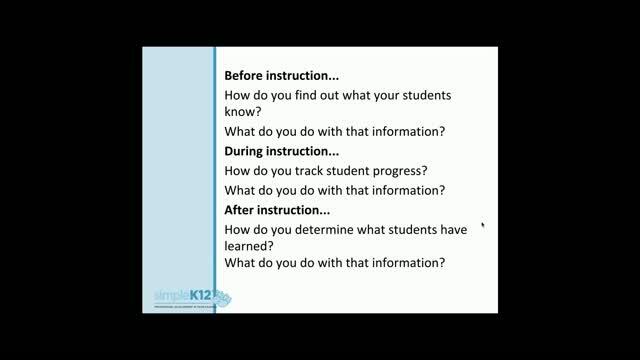 You'll also learn strategies for analyzing formative assessment data and using it to inform your instruction. This got me thinking about how I use any form of assessments. Formative or summative assessments are only determined when the teacher decides how to use the information gathered from it. 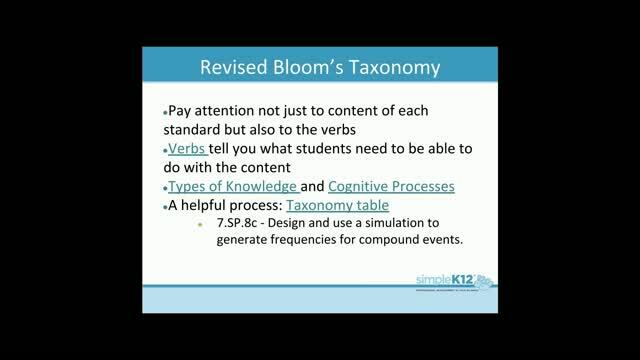 Do I use my assessments in a way that is beneficial to my students? I also appreciated the 3 "S"s.
Great information on formative assessments! This session really got me thinking about how to better implement formative assessments into the curriculum. Thanks! 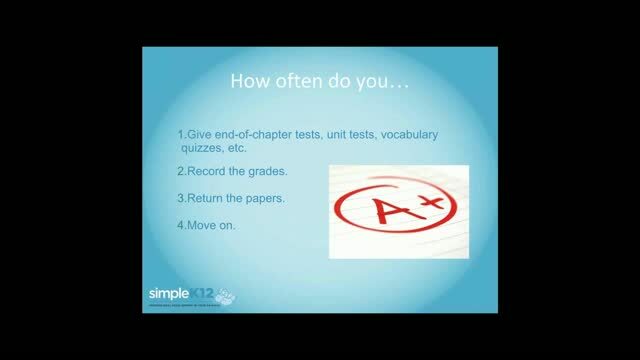 Great information about formative assessments! I particularly appreciated the 3 "S"s... Students- Skills- Strategies! What a great way to progress monitor and modify lessons. Great presentation! Great way to reinvigorate your knowledge of formative assessments and the planning piece was great! Thank you so much for such wonderful information! After watching your webinar it has made me more motivated to develop formative assessments for this upcoming school year!